Like it or not, we are really close to the end of the year. Don’t freak out! There is still plenty of time to reach your goals in 2017 and set yourself up for an even better 2018. In this episode, we are talking about how to do just that. 1. First and foremost, let’s not give up on those goals that you set back in the beginning of the year. You know, the word you selected for the year? Those intentions you set or the goals you created? When was the last time you thought of them? There is still time to crush those goals or to, at the very least, make traction toward them. So, refresh your memory. Make a plan and put it into action. 2. The fourth quarter is the prime time for your career. What you do over the next few months will weigh heavily on your end of year review at work. 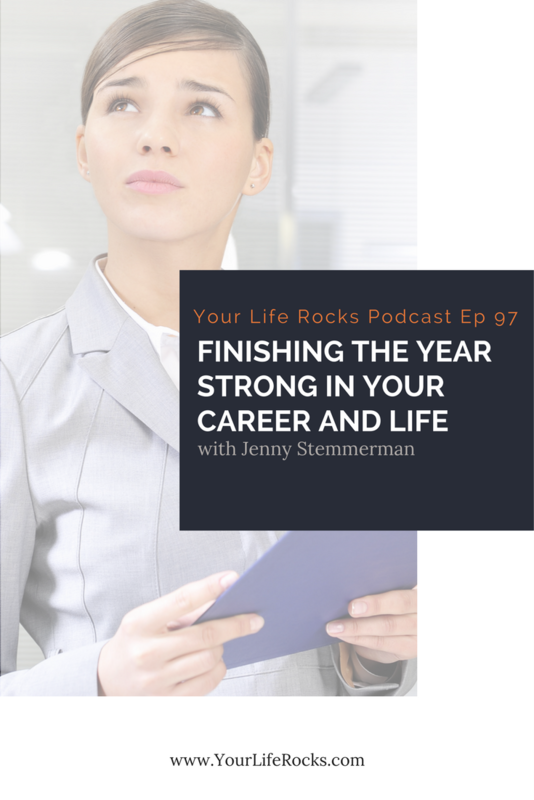 Now is the time to dust off the goals you (or your boss) set for you at the beginning of the year or at your mid-year review. Get ready to step it up! When you can end the year exceeding expectations, you now have leverage. Leverage is powerful when it comes to the new year. Now you can negotiate a raise, flexible schedule, or anything else that will make life easier. 3. The last quarter, 3 months, 90-days….it’s a long time. I know it seems like it will go fast, but when you look at each day and what you can do, there is potential to do a lot. Why not set new goals? How great would it be to go into the new year in a powerful way with some wins under your belt? Pretty good, right? That’s what makes this such a great time to get started with Life Balance Membership. The first course you will take walks you through how to set goals in all areas of your life for a 90-day period. You’ll set goals for your marriage, faith, being a mom, your career, health, home, finances, and friends and fun. Plus, you will get the Life Balance System that is designed to help you move to those goals and crush them! There is so much in the membership, you should see it for yourself! Get started on your free 7-day trial today! I have used Audible for a really long time and love that I get a new book each month. As a busy mom, it makes personal development and fun reading easy! Try it for free for 30-days and get a free audiobook! When you click the link above, you are helping to support this show. Thank you! A special thank you to all of our Life Balance Members for supporting the show!